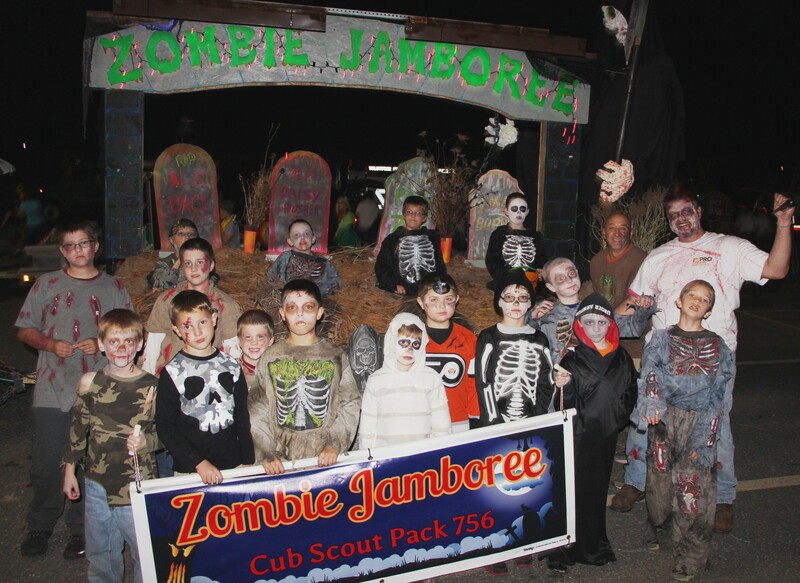 PRESS RELEASE – (from Brian Keich, President, Tamaqua Lions Club) – The biggest Parade in the area, the Tamaqua Lions Club Halloween Parade will be held on Tuesday, October 27, 2015 with an inclement weather date of Wednesday, October 28. More than 5,000 people attend that parade annually, sometimes more than 10 deep alongside the Broad Street path of the Parade. It is an opportunity for people to enter floats, marching groups, various type vehicles, etc. for prizes and/or recognition. It is also a great evening for the children and the surrounding area. The Lions help the community by fundraising for our local fire and ambulance teams, medical equipment at the hospital, the Tamaqua Little League, and many other charitable organizations and activities. There are various ways you can help contribute to make this an enjoyable parade. One way is to be a Gold Sponsor by donating $1,000, sponsoring all the traditional prizes. You could also be a Silver Sponsor by donating $500 or a Bronze Sponsor for $100. Our expenses go beyond the prizes and help us to do more for our community so your donation of any size would be greatly appreciated! We advertise in the local papers about our Parade. As a main sponsor, you would be acknowledged as our Gold, Silver or Bronze Sponsor. The many people who put this Parade together–the Tamaqua Lions, the Tamaqua Leos, the Fire Police who direct traffic, the Radio Club that provides communication tools, the Chamber of Commerce–all would be made aware of those who are monetarily supporting this big event. Additionally, we have an Announcement/Judging Stand where each float/marching group is announced; they would also be making other announcements including your sponsorship. We also report to both the Tamaqua Lions and Leos the status of the Parade regarding preparations before and success afterwards, yet another opportunity to name the big sponsors. There would be follow-up press in the paper, indicating who won the various prizes and who the big sponsors were who helped subsidize the prizes. During the judging process, immediately after the Parade, a small crowd of Lions and others who have worked to make the Parade a success gather at the Tamaqua Elks on W. Broad St., where another announcement could be made to identify Sponsors. 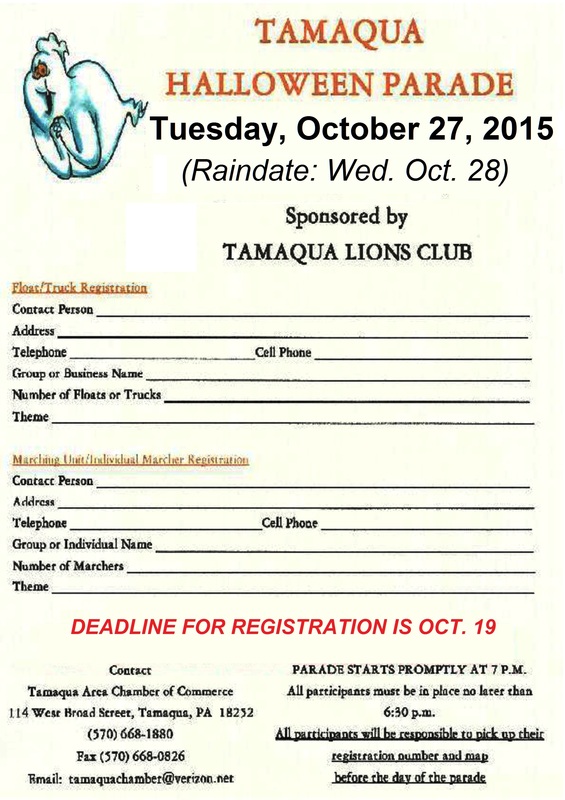 By the way, if anyone in your business or group is interested in becoming a Tamaqua Lion, ask me about that as well. We are always looking for new members, people who are willing to serve their community and help others. Please feel free to call me at 570-778-6663 if you have any questions.